Text by Oksana Salamatina, Lynette Bosch. 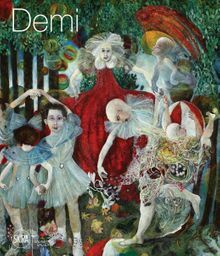 Cuban-American artist Demi's (born 1955) richly worked, colorful paintings take haunting depictions of children as their subject matter, in part to heighten the sensation of isolation, disconnection and exile that stem from the artist's life experiences under the Castro regime. Hardcover, 9.5 x 11 in. / 208 pgs / 185 color.